1) Schools have to be able to compare candidates who took the test this year with those who took the GMAT 5 years ago. Therefore, it’s unlikely that the IR section will be used in any meaningful way for at least a couple years. There is one exception though: Harvard explicitly states on their website that you should do the IR section. However, even for Harvard your overall GMAT score is still more important than your IR section. I've had several students get into Harvard without doing well (below 30th percentile). Really, it seems that they just don't want you to skip the section altogether. It should be noted that some schools say outright that they don't care about the IR section. For example, INSEAD says on their website that the IR isn't taken into consideration applying to their school. 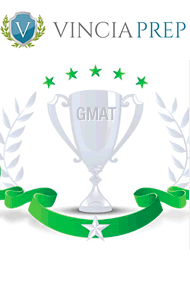 2) Schools care about their rankings and the only part of the GMAT that affects a schools ranking is your score out of 800. In other words, since the integrated reasoning section doesn’t affect your score out of 800 schools don’t care very much about it. Even though schools probably won’t differentiate between a 50th percentile student and a 70th percentile student on the IR section you should still probably practice this section a couple times and get familiar with the question the different question types that it presents. 1) The IR section comes at the beginning of the test so it’s important to not let it knock you off your game. That is, if you take the real GMAT test without having practiced the IR section you may feel uncomfortable and less confident which could lead to you getting a lower score. 2) When you’re taking practice tests you need to simulate actual GMAT testing conditions. If you don’t take practice tests with the IR section you’re making the test to easy for yourself. So is the new IR section important? By itself, it probably won't affect your chances of getting into the school of your dreams. However, it is important to work on the IR section a little bit so that it doesn't affect your results on the rest of the exam.